Katy Perry, Mel B, Ed Sheeran and everything you need to know about the VMAs. foreign music lover, please shift (Hehehe). Here are the winners of the 2017 VMAs! Kendrick Lamar – “HUMBLE.” (TDE/Aftermath/Interscope). Lil Uzi Vert – “XO Tour Llif3”. Forever (Fifty Shades Darker)” (Republic Records). Fifth Harmony ft. Gucci Mane – “Down” (Syco Music/Epic Records). Zedd and Alessia Cara – “Stay” (Interscope). Now my best band, Coldplay, got beaten in this one but (sobs) it’s okay. Twenty One Pilots – “Heavydirtysoul” (Fueled by Ramen/Atlantic Records). Kendrick Lamar – “HUMBLE.” (TDE/Aftermath/Interscope) (Scott Cunningham). Kendrick Lamar – “HUMBLE.” (TDE/Aftermath/Interscope) (Spencer Graves). actually the biggest winner of the night. 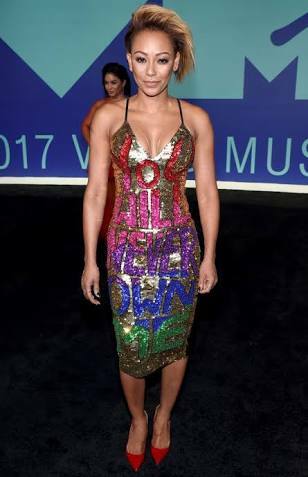 P.S: Who read the message on Mel B’s gown? Was she talking to her husband? Do share and subscribe to our blog. Catch us on social media @syncityng.